Join us at Farleys in Lee Miller's kitchen during the week of Thanksgiving. Suitable for novice and proficient cooks alike, this one-day workshop will take place in Lee Miller's kitchen at Farleys House. Chloe Edwards of Seven Sisters' Spices will share the joy of cooking some of Lee Miller's gourmet and surreal dishes, with an introduction that includes the recipes accompanying stories. Onion Upside Down Cake, Sesame Chicken for Miro, fresh chutney, salads and Cauliflower Breasts will be amongst other delights on the menu. 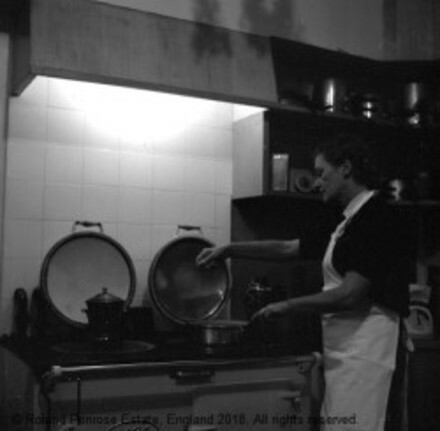 As part of your workshop, enjoy your completed meal together at the same kitchen table that Lee Miller's artist guests used to help her with vegetable preparation. Dietary requirements and allergies for each attendee will be asked for during the check out process when buying the tickets and catered for to our best ability. If there are any very severe allergies please also contact us before booking so we can be sure of requirements.